Preheat oven to 450 degrees. 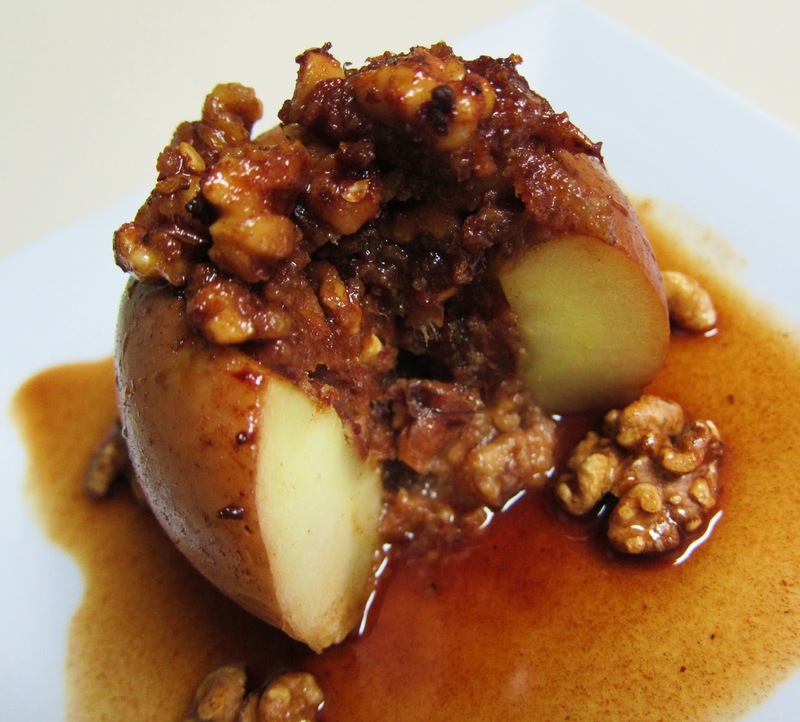 Place apples in small baking dish and stuff the walnut mixture into them. Mix walnuts, dates, dried cherries, and sea salt together in a small bowl until well combined. Whisk together apple cider, maple syrup, cinnamon, nutmeg, ground chipotle, red pepper flakes, and pour over the apples. Cover baking dish with foil and bake for 45 minutes covered, then uncover and bake another 15 or so until the apples are tender. Remove from oven, and place apples on a serving plate. Pour liquid into a small saucepan and reduce until syrupy. Once reduced, add 1 tsp vanilla. Drizzle over apples to serve!